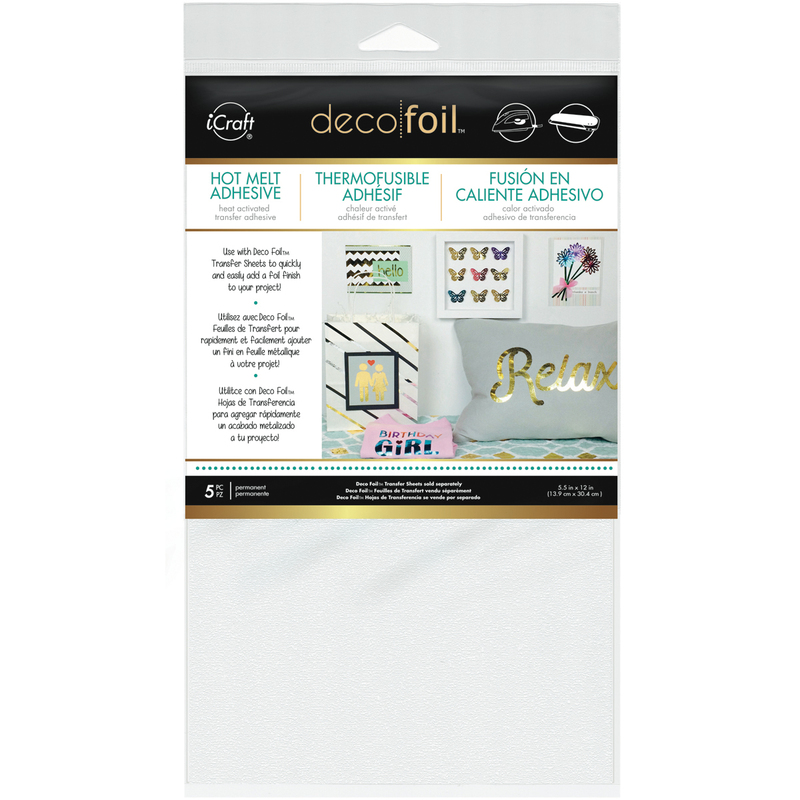 Thermoweb-Deco Foil Iron On Adhesive Transfer Sheet. This is an iron-on adhesive, perfect for wearables, cards and so much more. This adhesive is washable on fabric. Use with punches, die cutters and electronic cutters. Also works great in most laminators (sold separately). This package contains five 12x5-1/2 inch foil iron-on adhesive transfer sheets. Acid free. Made in USA.